For the third installment of our Tax Strategies blog series I’m going to discuss some more great ways to lower the highest single expense we have, our taxes. Remember, I am neither an accountant nor a CPA. I do not even work in that field. What I am sharing with you are some nuggets that I’ve discovered from my research, experiences, and the conversations I’ve had with our CPA. Always consult with your tax professionals. I am just passing along some information about some easy ways to reduce your taxes. The first way to help reduce your taxes is for those of you who have children and are wanting to save for their education. I know some of you are thinking that the Coverdell IRA or 529 plan is already set up for this very purpose. This is true. However with these plans you are limited in the amounts of money you can contribute. These plans control how you can invest those funds. They also control what expenses can be paid for by the fund. Only certain educational expenses qualify. The only two choices you have if you don’t use all the money in the plan is to transfer the money to a relative who can use it for educational purposes, or withdraw it from the plan and pay the taxes and penalties that transaction will generate. You are essentially penalized for earning too much money within the plan. Well there is a better way to reduce your taxes. If your child were to invest in an LLC that owns a business or investment. In this way if planned properly using real estate, then your child would pay no tax on the cash flow and would have complete control over the investments, as well as when to remove the funds from the investments without penalties. Our next strategy to help reduce our taxes involves treating your investing as a business. Once you do, you are able to reduce how much salary you pay yourself in order to keep the employment taxes as low as possible. You basically have to pay yourself the same amount you would have to pay somebody else to do that same job. Otherwise the IRS will most likely reclassify your distributions as salary which of course would create a higher tax burden for you. In determining your salary you have to consider all taxable benefits, such as a car allowance even if they are not taxed to you. This may result in a lower salary than what other comparable people are earning for the same type of work. You also need to pay yourself that salary at least monthly, since that’s when you would most likely pay an employee who was working for you. Income taxes are not the only form of taxes. There are also many other taxes that exist out there that can cut your income just as the income tax does. As a business owner you have taxes to pay on the supplies you buy as well as on your sales. The biggest challenge is controlling the taxes on the products you sell. If you don’t collect the tax from your customer and are later audited, the burden shifts from your customer to your business. So unless you’re absolutely sure there is no sales tax due, you should collect it. I think you’re starting to see that in order to do a complete wealth plan it will involve all aspects of your life. This includes planning how your assets will be dealt with after your death. 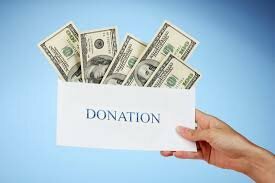 You may want to plan on giving some of your assets to your favorite charity. In the process it allows you to reduce your income and/or your estate taxes. Charitable trusts are a vehicle that allow you to control what happens with your assets when you’re alive and how they get disbursed upon your death. This next strategy applies to businesses that have sales and it involves having your business being taxed in multiple jurisdictions. Various jurisdictions could be different states or even different countries. When you’re taxed in multiple states they will use what is called a ‘sales factor’ which can sometimes reduce your state tax by 40 to 50 percent. This is something you’ll want a good tax strategist to look into and set up for you. Now, just as using multiple states in which to be taxed in is beneficial. Using multiple entity types can also help reduce your overall tax bill. And when I say use multiple entity types I’m not suggestion over-complicating things and creating a nightmare for you accountant and having more entities than you need. Using a knowledgeable planner you’ll be able to determine which ones are best and how to benefit your situation. Whether you already have a business or you’re planning on investing in real estate and will make that your business, there are a few other aspects to keep in mind besides just eliminating your taxes. The first one is asset protection, you want to ensure to contain things if a lawsuit ever happens, and that’s why it’s a good idea to not only have a tax strategist design a structure for you but also have an attorney look at that structure before implementing it to make sure it achieves the goals it was intended to. The next thing some people get anxious about is privacy. They just don’t want their name all over in the public records, and that’s understandable. Although to date we have not adopted this strategy, using a trust can achieve that goal. And our final strategy for today is using a government qualified retirement plan, specifically a Roth IRA. I usually I don’t advocate using this because of the restrictions. 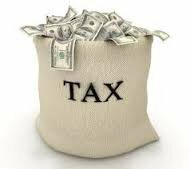 But in some cases it can be beneficial and achieve our goal of permanently deferring taxes. 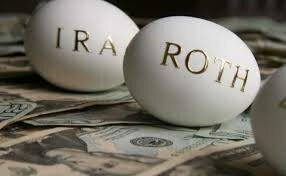 Investing in the assets identified below works well within a ROTH IRA because they produce income that you will not need till you’re at least 59 ½. All you have to do to manage them is direct their purchase and sale. You won’t use debt to purchase them and they are taxed at a high rate outside of this program. They are gold and silver bullion, doing hard money loans, buying tax liens and stock trading. As you can see, if structured properly, there are many ways to permanently defer paying taxes. Although I have not gone into great detail in any one, this should give you an idea of which ones make sense for you and which ones don’t. This is a good start to have a conversation with the professionals you use to ensure you are structured properly. Tune in for my final blog article in the tax strategies series, where I’ll share a few more great strategies with you. If you would like more information, or would like to see how you can get involved in one of our opportunities, drop us a line! We want to hear from you. Our contact information along with more details and some great educational material can be found on our website, at www.SimpleAcquisitions.com. NOW is a great time to invest in real estate!! Don’t delay in making your hard earned money work HARDER for you.